Kristaps Ronis, upon graduating, he faced new professional challenges, from starting a career in Hong Kong to building a financial services firm from scratch, Ion Pacific. He talks more about the personal challenges him and his team faced in order to build a successful company from the ground up in Hong Kong. Starting from a small apartment in Hong Kong to a world-class provider of financial services. Here's his story today. 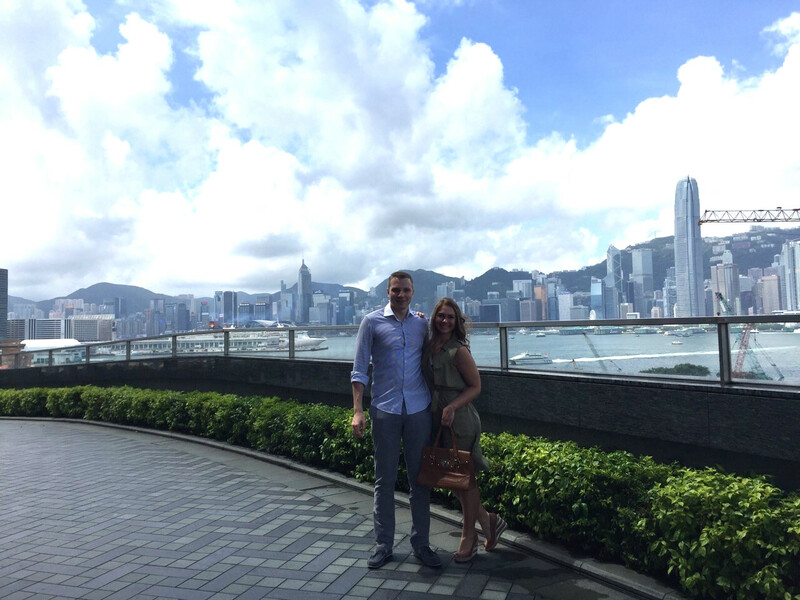 It was the summer of 2014: I graduated from PHBS to begin my full time career in Hong Kong. Looking back, it seems a bit crazy – within a 30-day period I had gotten married, graduated from my master’s program, moved to Hong Kong and started my investment banking job there. I joined a local firm called Reorient Financial Markets, a Hong Kong based investment bank focused on cross-border M&A and institutional / retail sales & trading. I had previously done my internship there the summer before and was quite happy to find a full time role that would allow me to stay in Asia long-term. While I joined the firm where I had interned before, this time around it was a full time role and hence substantially different from my internship experience. I had gotten used to 17-hour working days and frequent weekend work during my internship days, but this time around there was no end to it in sight, no internship review, no ‘this is going to be over in eight weeks and I am going back to my comfy dorm room in Shenzhen where I can take four-hour naps’. To be clear, I take my naps very seriously! Although it was extremely demanding and fast-paced, the experience was rewarding. Soon after I joined full-time, our team closed the US$800mn sale of the UK-based House of Fraser department stores to Sanpower group in Nanjing – at that time, the largest outbound Consumer & Retail acquisition by an A-shares listed Chinese company. There was a number of exciting projects that our team was working on –within one week, we could be looking at financing solar space ships, acquiring a personal jet pack company or backing SEA entrepreneurs with an idea around anti-drone protection solutions. ‘How crazy is that?’ – I thought. A major turning point in my career was in early 2015 when YF Capital, a private equity firm backed by Jack Ma of Alibaba, the firm that I worked for began an acquisition of a substantial stake in Reorient. They were planning to completely change the firm’s business model and turn it into a wealth management platform for mainland high net worth individuals. It was rather clear that an international M&A team would not have much to do under the new setup. After a few weeks of uncertainty and exploration of alternative career opportunities in town, the two Co-heads of Investment Banking invited me to join them to build a new investment-banking venture. This is how Ion Pacific was born. An investment and merchant bank that currently has over 20 staff between Hong Kong and London offices, a global group of outstanding shareholders and an exceptional pipeline of world-class deals was established in a tiny apartment in the Wan Chai district of Hong Kong. It has been an adventure on its own – being a part of building a truly global financial services venture from scratch, and seeing it all come together through collective contribution. Looking back – my first year in Hong Kong was a true rollercoaster ride. From a turbulent start of moving to a new city with my recently married wife, starting a full time job in one of the global financial centers, quickly having to decide on the next move when things went sideways, to being a founding team member of a successful new investment bank. As I have always said to myself – Asia is full of opportunities, and it is our choice as to whether we decide to take the correct steps to achieve our goals here. The path to success here is much longer here than in our home countries and the going is likely to get tough – but if you really know what you want, you can achieve it here for sure!